I hope you had a great weekend and a great week so far. I am back again this time with a lip liner review from MUA. It is their lip liner from the £1 range. I am still new to MUA make up products and do not own any. I was sent this lip liner by Radha so I am here to tell you about it. 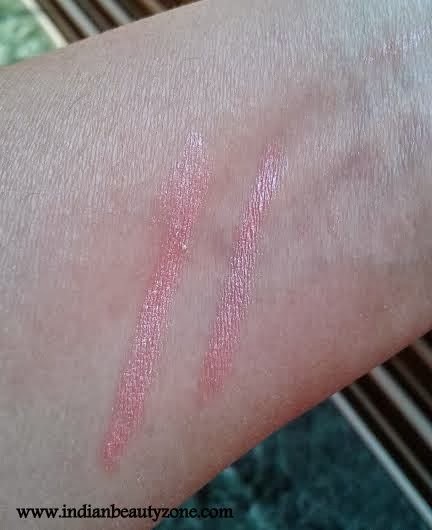 The lip liner I shall review is called MUA Intense Colour Lip Liner in Softly Lined. As everyone may know MUA (Make up Academy) is a famous UK drugstore brand that does sell all kinds of make up at affordable and dirt cheap prices. 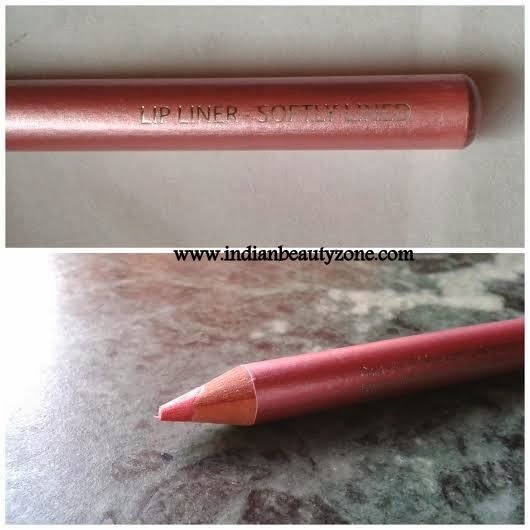 As I mentioned I have not used any of their products before so my review would be only in terms of this particular lip liner and not the brand as a whole. Let us find out more in the review what I think about it. With a creamy and strong pay off you will love them ! There are 4 shades ranging from a soft pink to deep plum shade which match most MUA lipstick shades or you can even use them as lipsticks too.! The Product Description and Ingredients details taken from www.muastore.co.uk for readers concern. All come with handy sharpener in the lid. lip liner comes in a pencil format which needs to be sharpened. It has a transparent cap with a built in sharpener. It is easy to sharpen the pencil due to the fact that the sharpener is very conveniently available on the cap itself. The cap is an issue because it tends to get off and may create a mess if you are travelling with it. Also if you sharpen the pencil the cap gets dirty and you have to make an extra effort to wipe it off. Hence the packaging is not very travel friendly in my opinion. The lip liner is a light blue based baby pink color. On the website it looks more purplish whereas it is a silver pink which means it has a metallic finish to it. 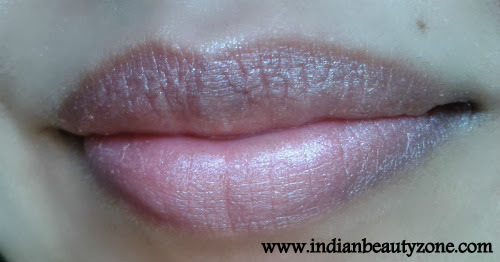 The lip liner glides on smoothly on the lips without any tugging or pulling. It is soft enough but then not that much that the tip would break off. It works good as a lip liner in my opinion but provided you have a lipstick in a similar shade. It can also be used on its own as I have in the picture topped with a clear lip balm as lip liners can be extremely drying and may accentuate the fines lines of the lips. As a lip liner does a good job. Availability is a major issue as they can only be ordered through their website. The shade may not be suitable for all skin tones. The cap gets loose and is not travel friendly. Sharpening creates a mess of the cap. Given the fact that it costs just a £1 it is good and is decent but the shade may not be suitable to all plus the availability is an issue. When I tried it, it did suit me. Hence I would say that it suits fair to medium skin tones but the shade may not suit all and is a personal choice. I find it is decent and is definitely worth a try if you love the shade and the fact that it is so inexpensive.I hope my review was helpful to everyone reading this. This was my first experience with an MUA product. Please leave your valuable comments, I would love to read your inputs.